This blend is perfect for finch. 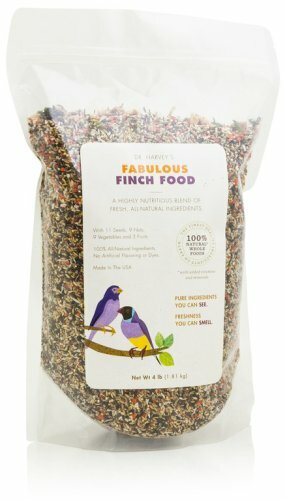 Dr. Harveys Whole Foods for Birds use nuts, seeds, vegetables, fruits, herbs and bee pollen in unique blends that combine to give your companion bird the balanced nutrition that it needs to maintain health and longevity, vibrant color and remarkable plumage. Birds need a variety of foods just as they would find in nature. Dr. Harveys Blends provide a tremendous variety of grains, seeds, fruits, nuts, vegetables and herbs.